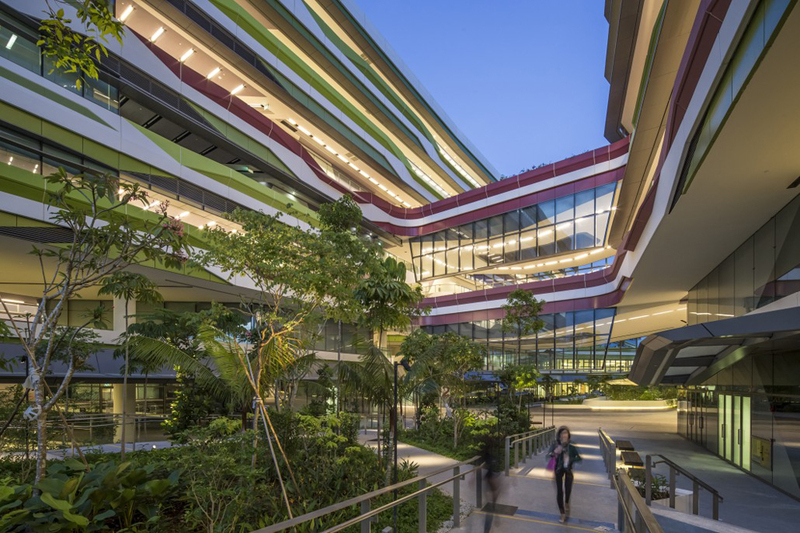 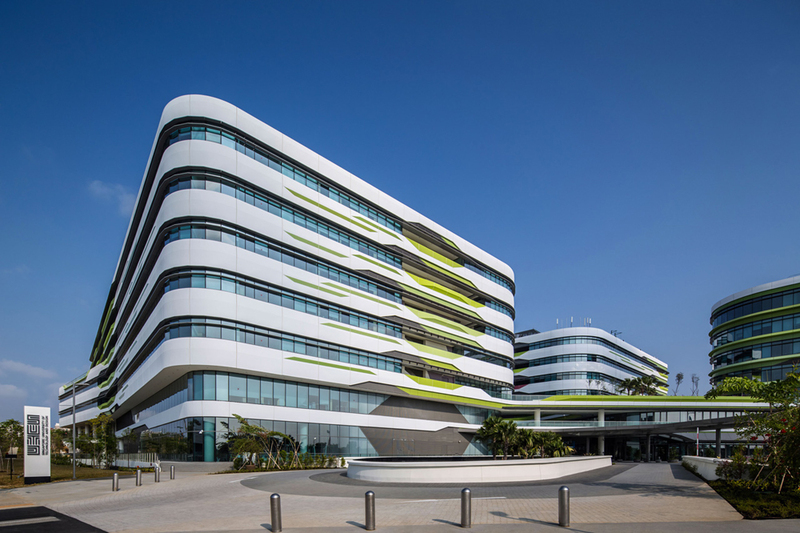 UNStudio and DP Architects recently completed phase one of the Singapore University of Technology & Design (SUTD), an academic campus designed to be environmentally sustainable. 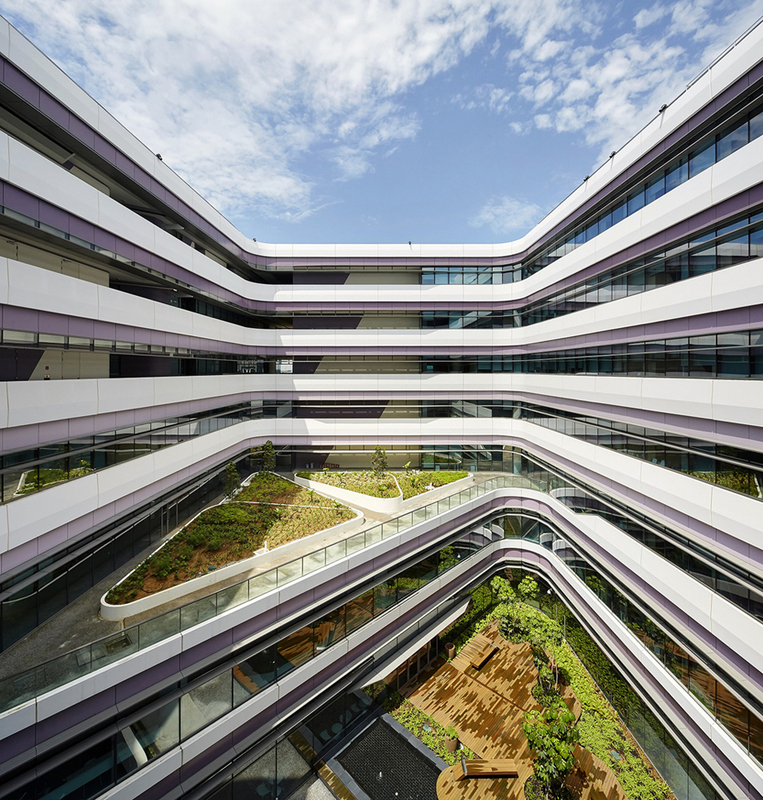 The SUTD is Singapore’s fourth public university and is located close to the Changi airport and Business Park. 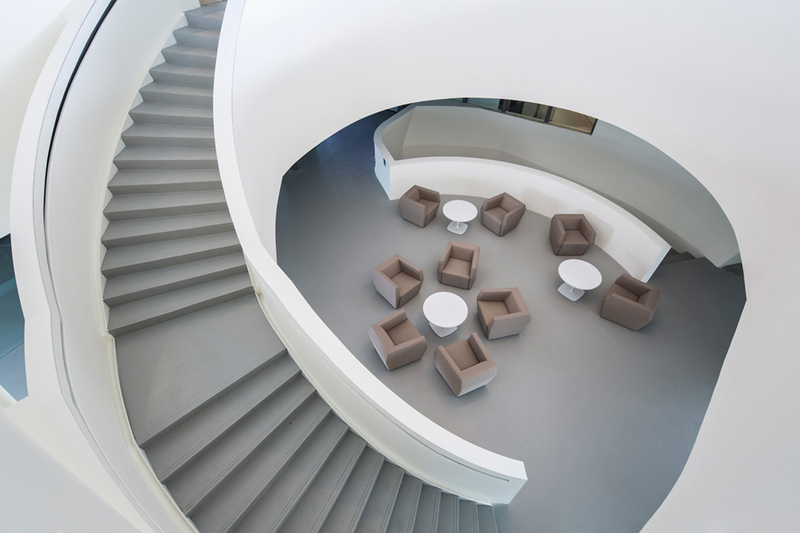 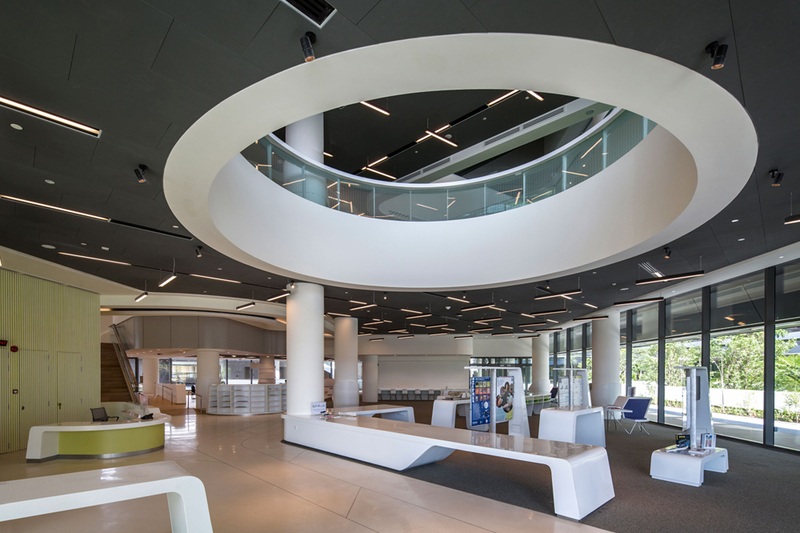 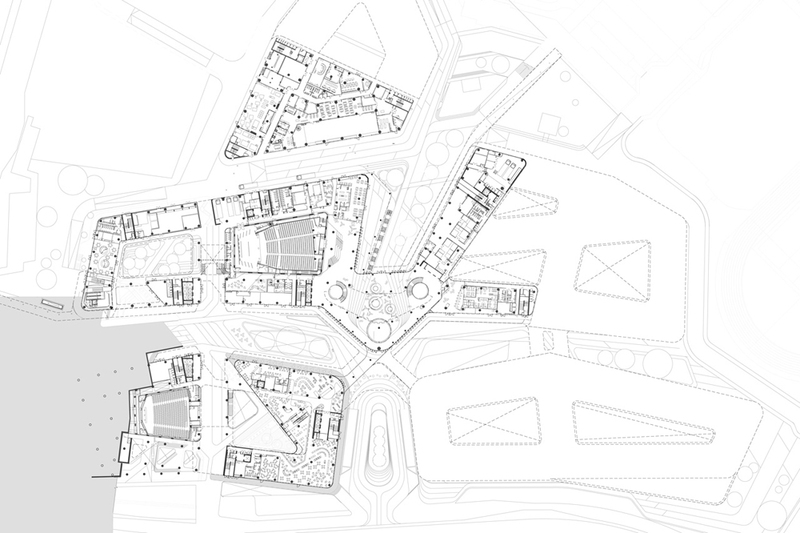 The academic campus design offers an opportunity to embrace innovation and creativity through a non-linear connective relationship between students, faculty, professionals and the spaces they interact with. 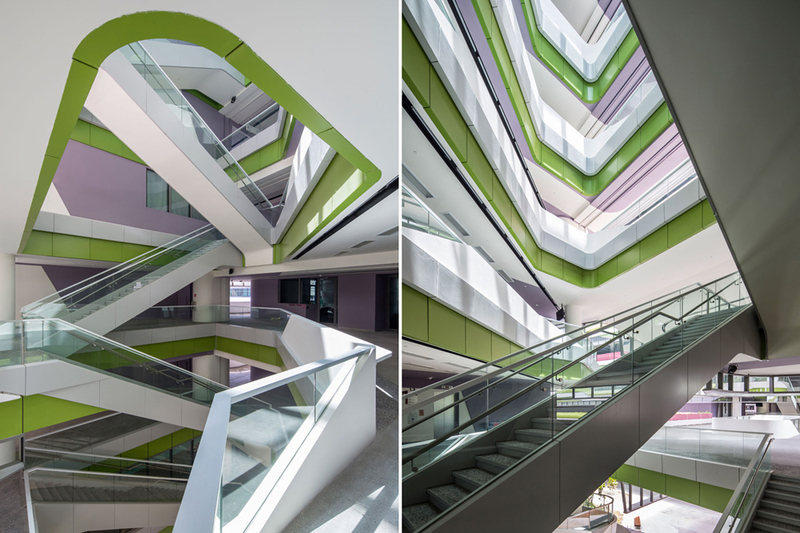 The modern design of University Complex shows how the design can combine innovation and creativity using the link and needs of students, professors and university. 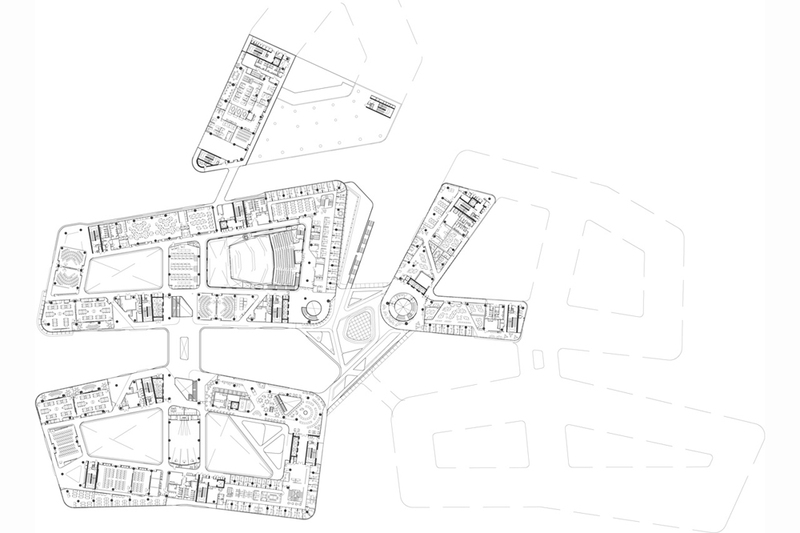 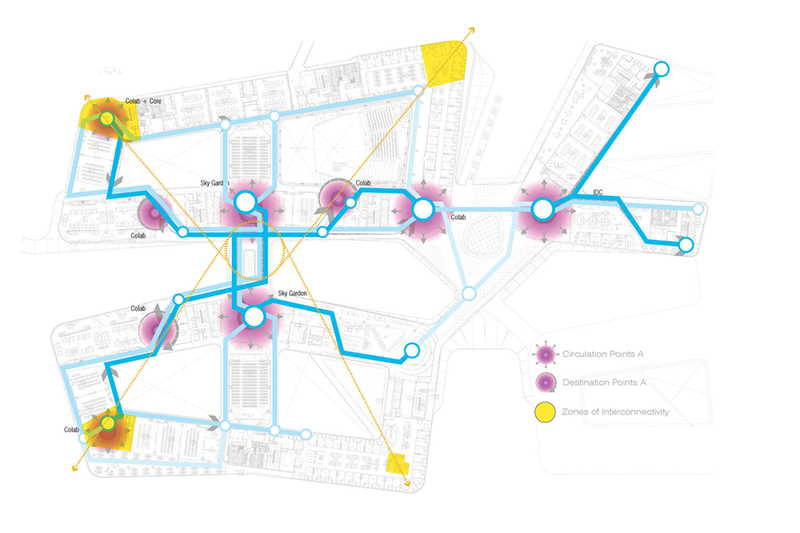 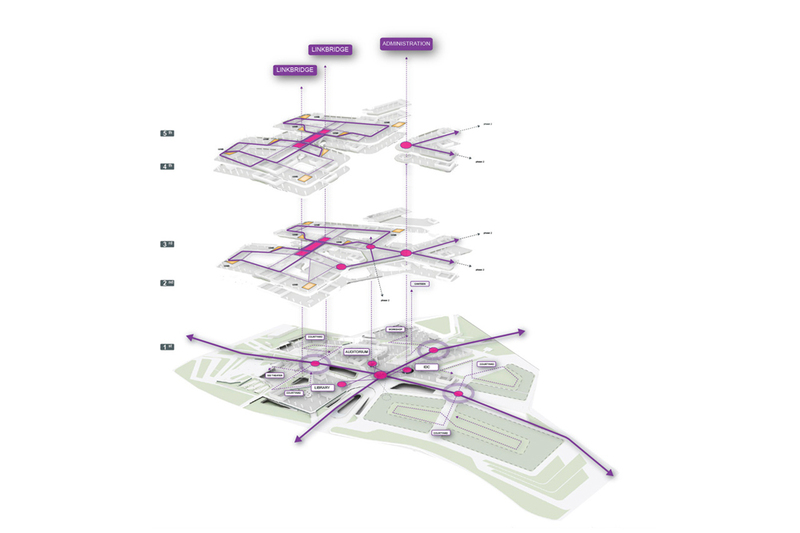 Faculties within the SUTD campus are not housed within individual buildings, but distributed and overlapped through each block of the site. 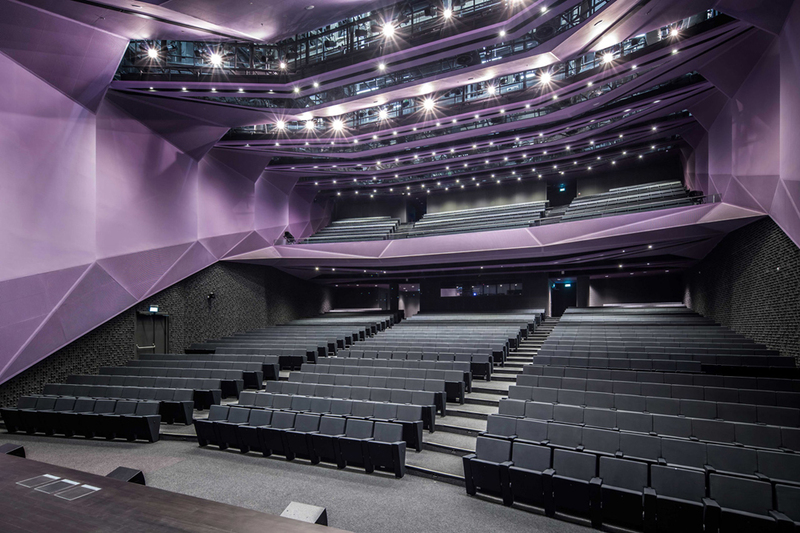 This way there are no boundaries between classrooms, laboratories and auditorium, as well as between students from different faculties. 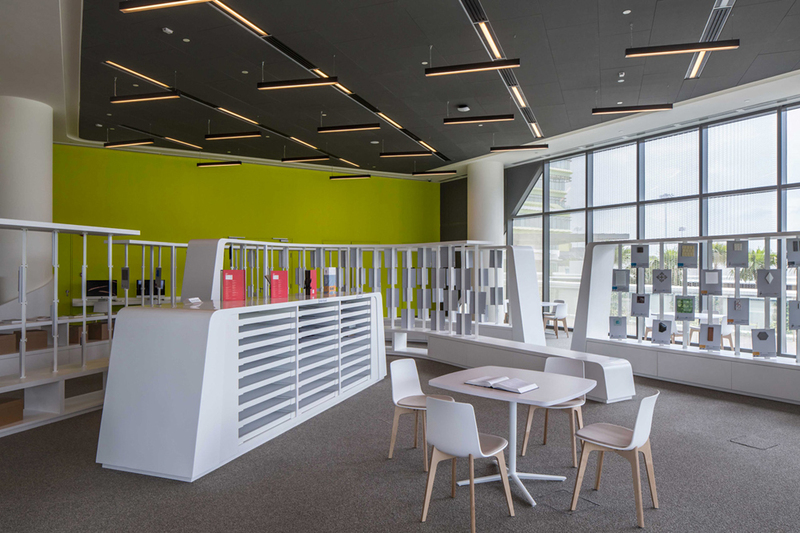 This helps to increase the interaction between different disciplines, thus campus becomes an incubator for fostering communication, creativity and innovation. 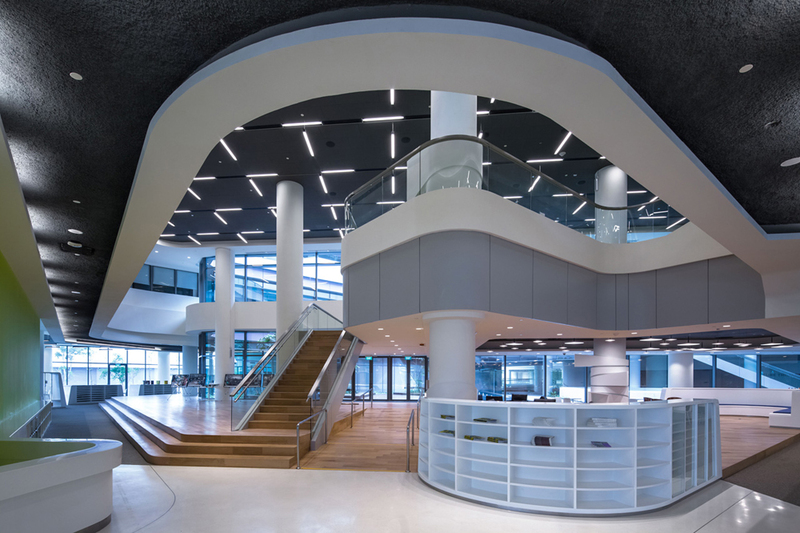 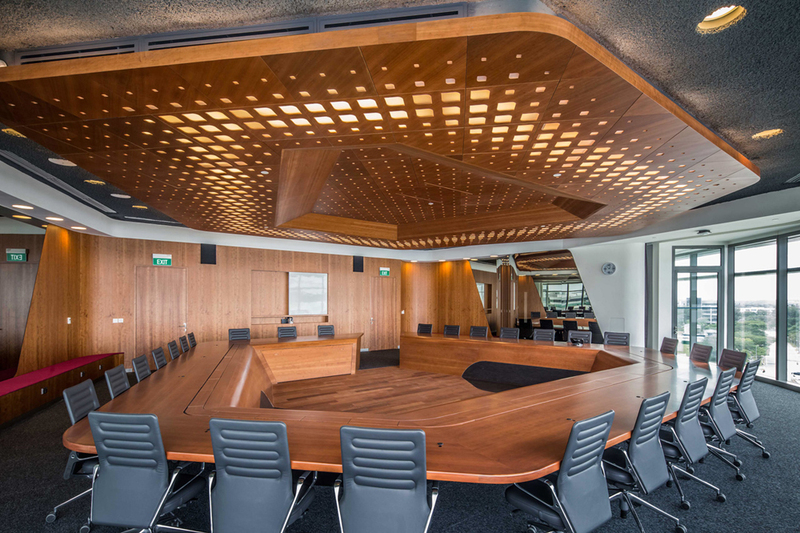 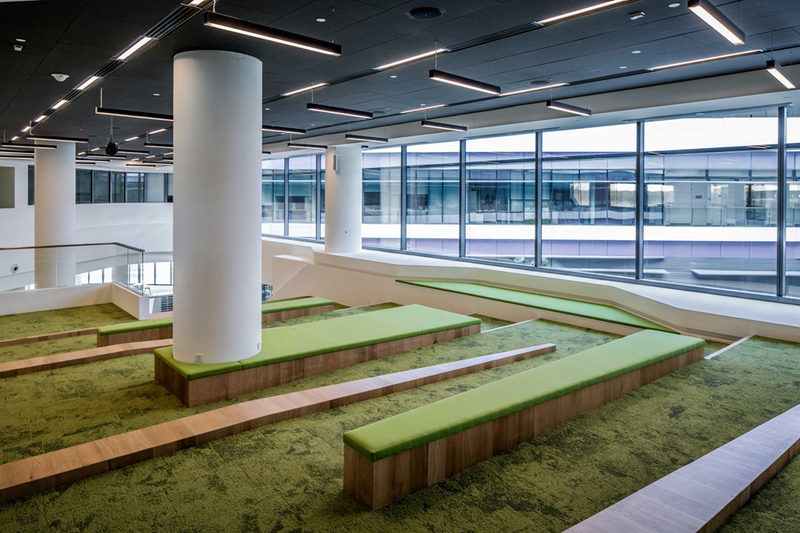 “Traditional divisions between rooms and corridors are also dissolved, resulting in flexible spaces and encouraging movement throughout the buildings,” says UNStudio’s Ben van Berkel. 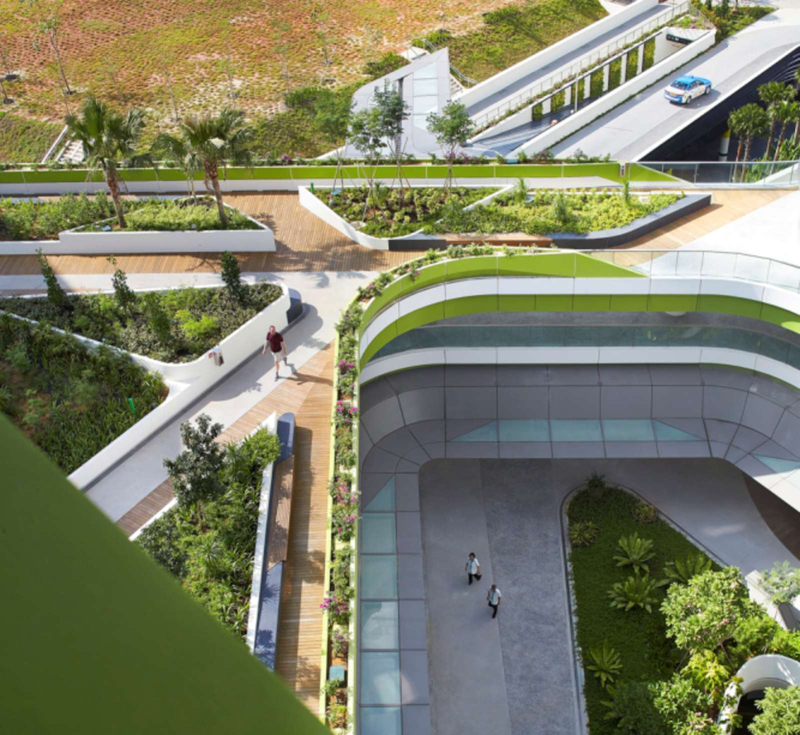 Environmental sustainability is a prevalent theme in the SUTD campus design. 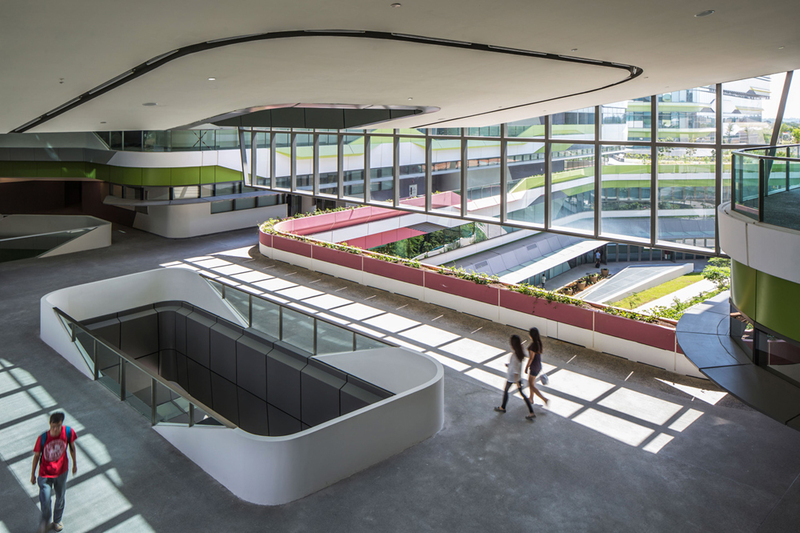 The architects focused particularly on passive building design and used solar and wind studies to determine energy efficient locations, shapes, and orientations for the campus buildings. 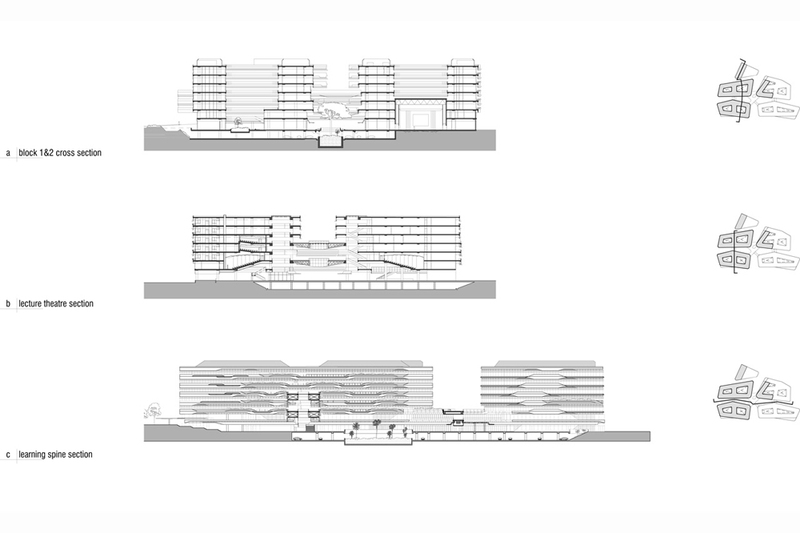 The buildings are optimized for natural ventilation, shading, and light. 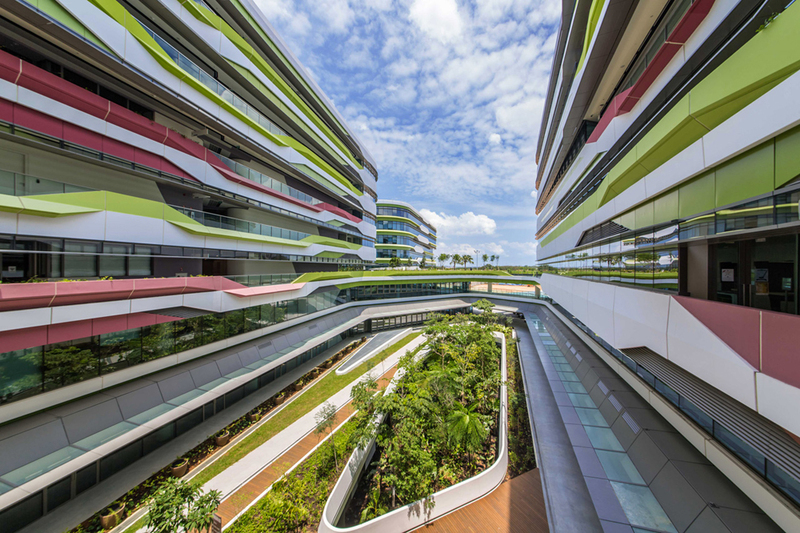 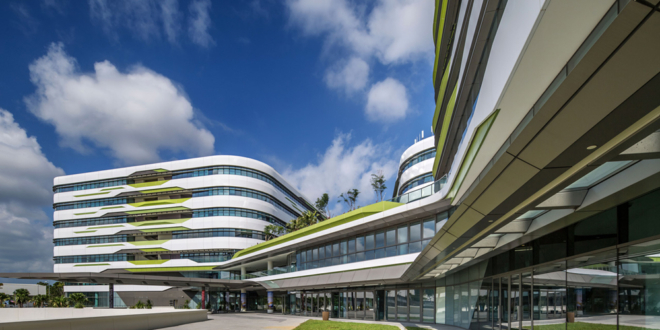 The heavily landscaped and green-roofed campus features low-water native species to reduce the urban heat island effect and to counteract Singapore’s tropical climate. 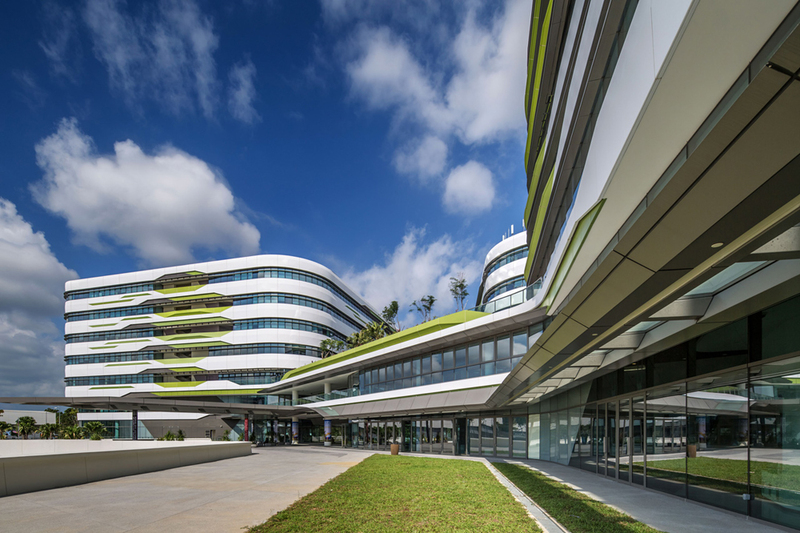 The walkable campus also includes protection from rainy season’s heavy downpours and louvered facade shading to shield against the harsh sun. 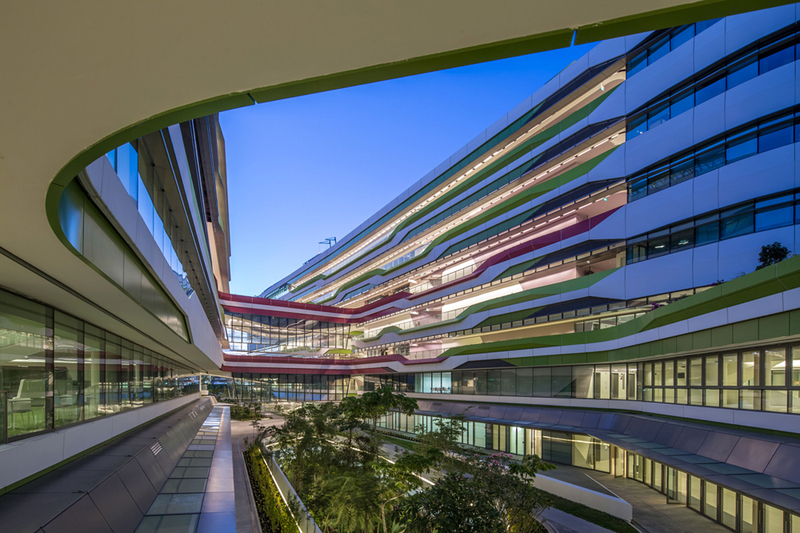 “We believe that interaction is the key to a progressive educational model” said Jeremy Tan, Director, DP Architects.